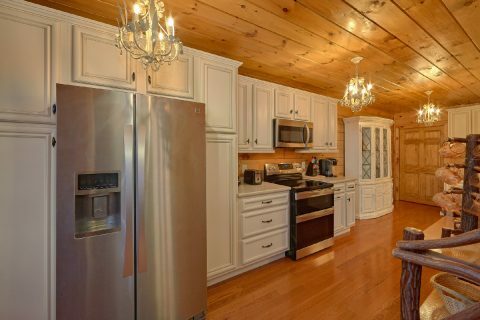 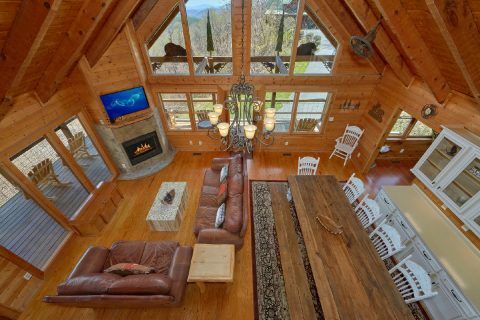 Searching for a cabin with a view of Wears Valley in the Smoky Mountains? 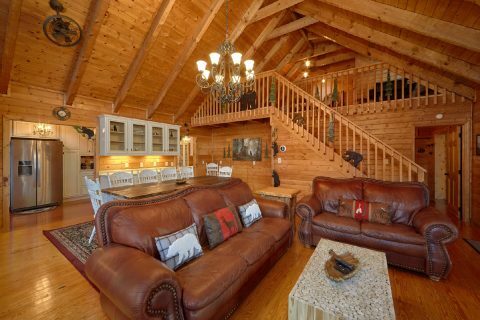 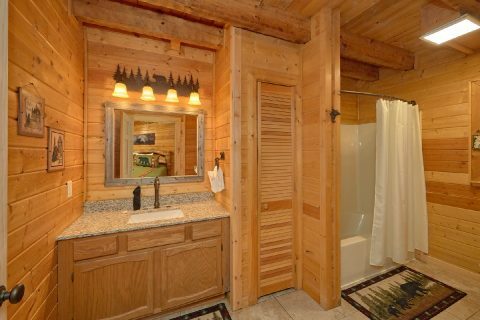 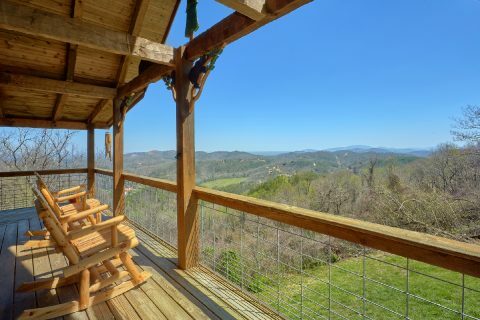 "Sugar Bear View" might be the cabin you're looking for! 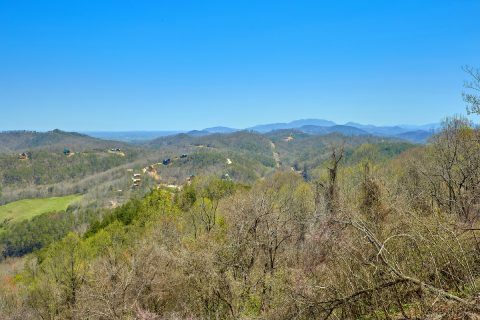 This excellent 3 bedroom cabin has a great view that overlooks the peaceful community of Wears Valley and its surrounding mountains. 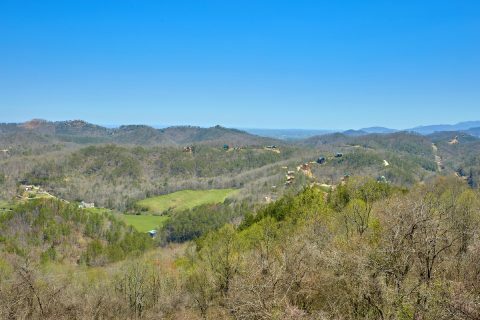 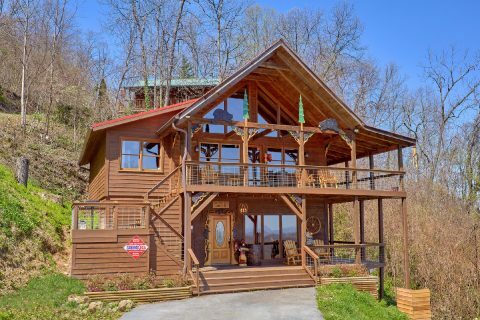 Not only is this scenic location perfect for relaxation, but it's also close to top attractions in nearby Pigeon Forge that's only 6 miles away! 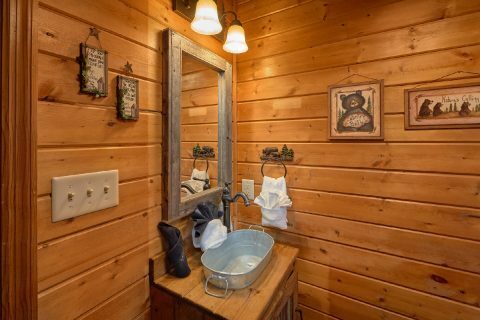 As a result, guests of this cabin can easily enjoy destinations like Dollywood, The Island, and the Historic Old Mill. 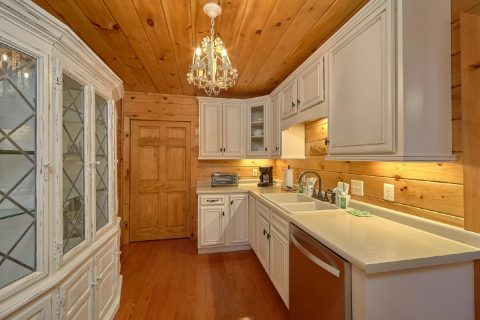 Additionally, this cabin is only a short drive from the national park entrance on Wears Cove Rap road. 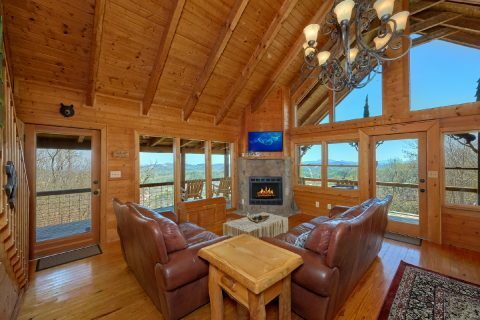 When you aren't busy enjoying the best that the Smoky Mountains can offer, you'll love relaxing at this cabin with a view. 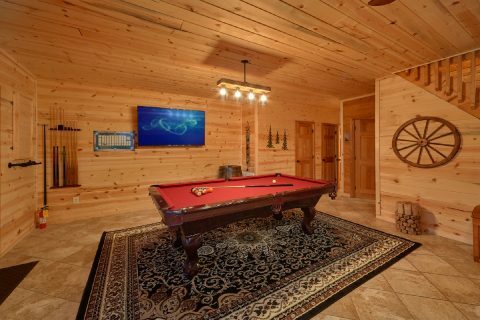 On the lower level of your cabin, you'll find a game room complete with a pool table, a television, and comfortable seating. 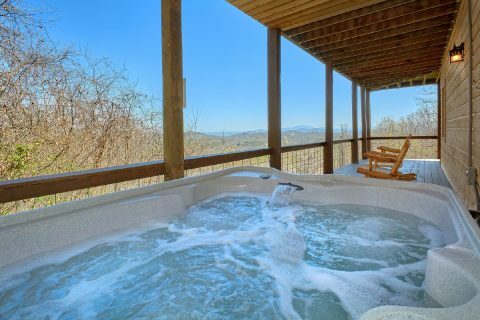 From here, you can step outside onto a covered deck to take a soothing dip in the warm waters of the hot tub or just sit out on a porch rocker. 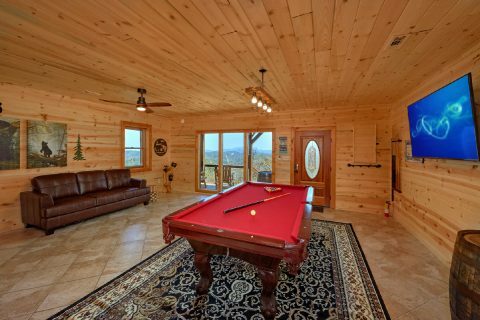 Upstairs, there's a welcoming living room complete with a gas fireplace, a television, and comfortable furnishings. 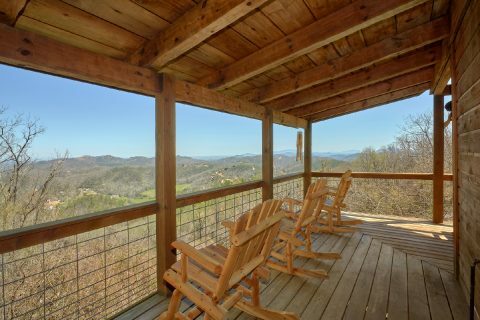 On this level, the deck boasts a lovely view of nearby Wears Valley. 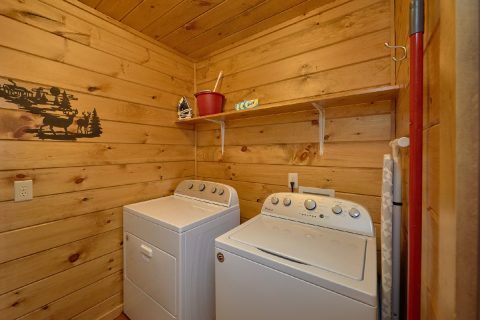 This floor is also home to a full kitchen and a laundry room with a washer & dryer. 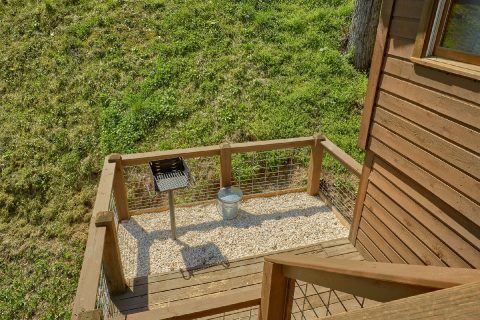 Additionally, the deck provides a charcoal grill, so you can enjoy a nice cookout in the mountains. 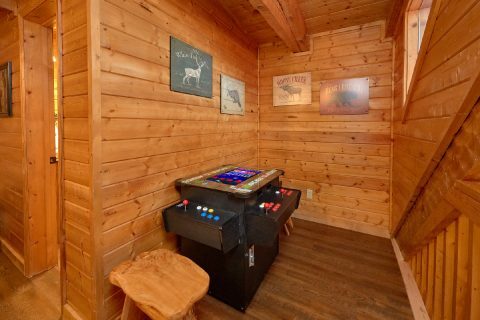 Upstairs, you'll find even more in-cabin entertainment in the loft with a two-player multi-cade arcade game. 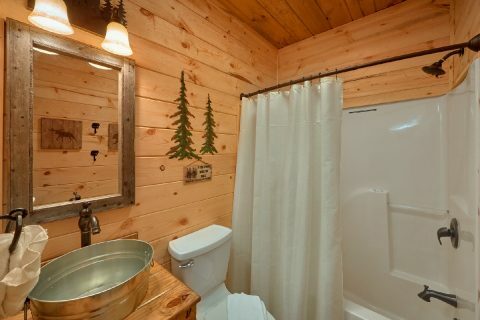 Your cabin also provides WiFi Internet to use during your stay. 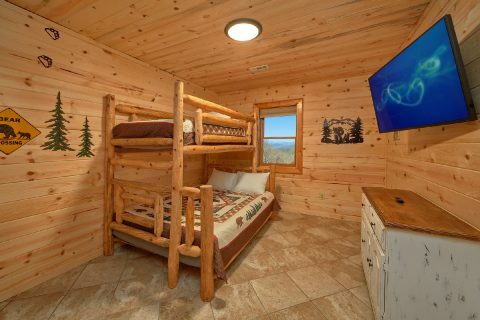 For staying well-rested during your trip, you can look forward to sleeping in one of this cabin's 3 bedrooms. 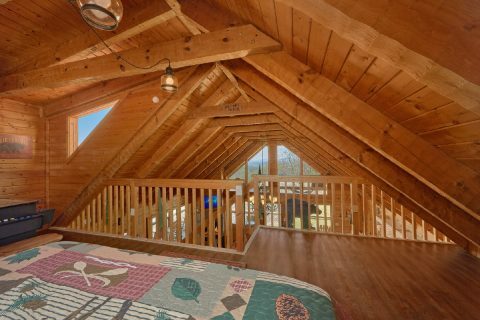 The lower floor is home to a bedroom with a twin over a queen bunk bed and the game room has a sleeper sofa. 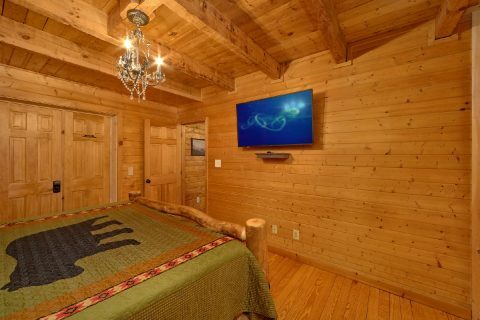 The middle level is home to a master suite with a king bedroom. 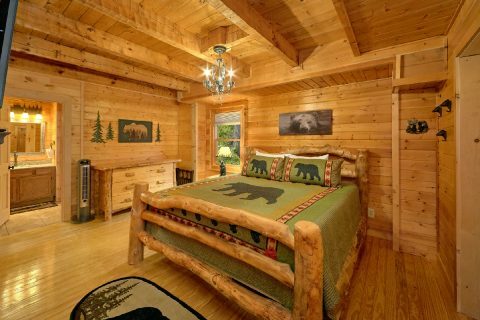 Lastly, the upper level features another king-size bed. 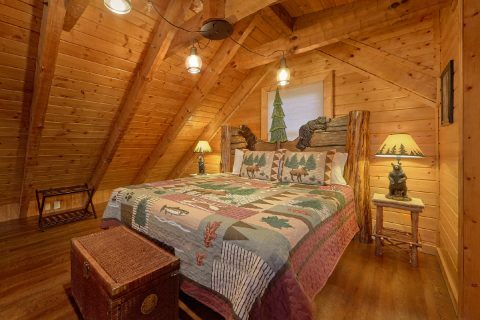 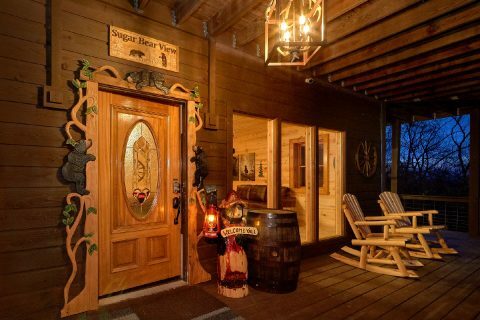 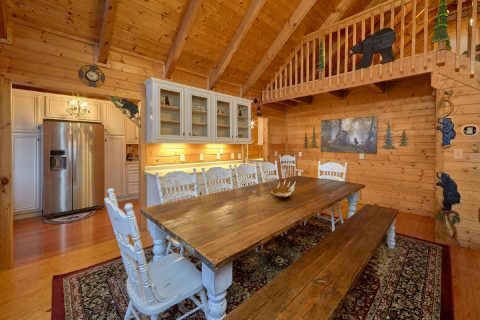 With room for up to 9 guests, this cabin is ideal for a family vacation or a fun weekend in the mountains with friends! 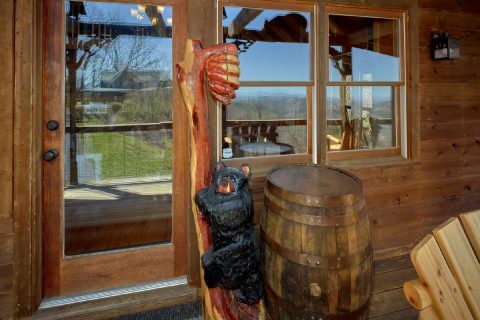 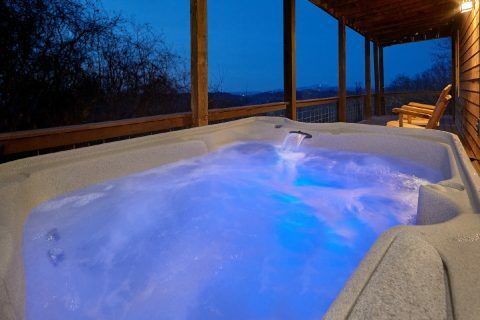 Book "Sugar Bear View" with Cabins USA Gatlinburg to reserve your very own cabin with a view of Wears Valley today! 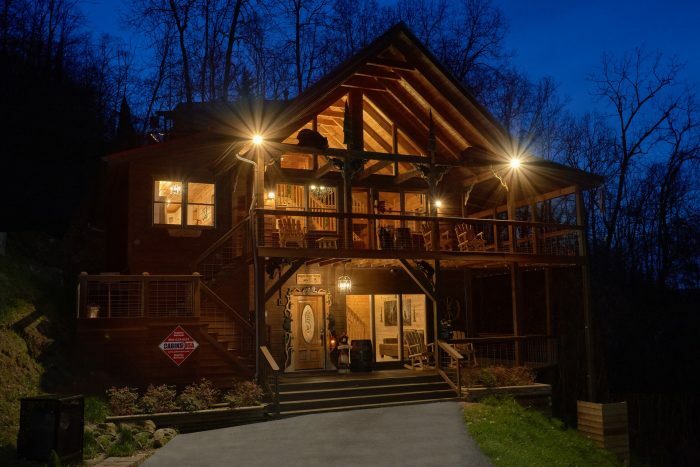 Best of all, you can save 15% on your nightly rate with our special cabin discount!